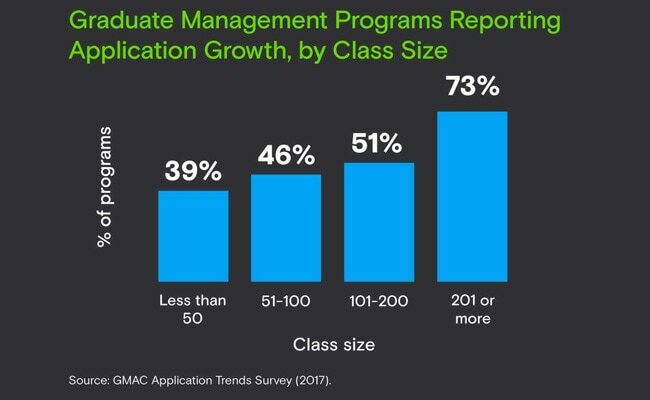 Nearly 3 in 4 (73 percent) graduate business programs with 201 or more class seats report increased application volumes this year compared to 39 percent of the smallest programs (50 or fewer class seats), according to a new application trends survey from the Graduate Management Admission Council (GMAC). 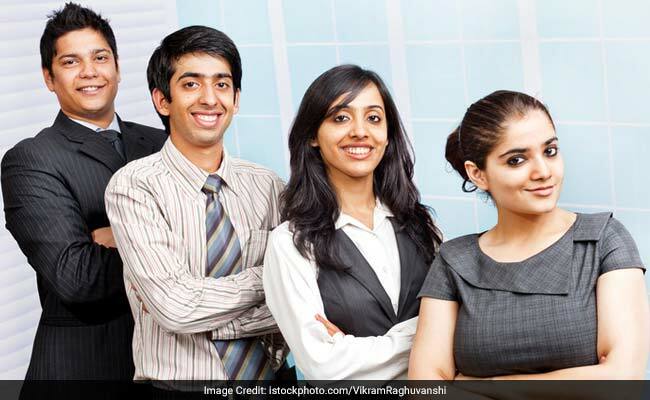 New Delhi: Nearly 3 in 4 (73 percent) graduate business programs with 201 or more class seats report increased application volumes this year compared to 39 percent of the smallest programs (50 or fewer class seats), according to a new application trends survey from the Graduate Management Admission Council (GMAC). The growth among the larger U.S. programs is driven by a resurgence of domestic applications, offsetting declines in international applicants. Regardless of class size, a majority of programs in Europe, Canada, East and Southeast Asia, and India report growing volumes in 2017, while fewer than half the programs in the United States are growing - with the exception of part-time lockstep MBA and Master in Data Analytics programs. "Demand for graduate business education remains strong, especially among the largest programs, which tend also to be the most well-known programs with brand recognition," said Sangeet Chowfla, GMAC president and CEO. "While non-U.S. programs are thriving, a strong economy and a disruptive political climate is likely contributing to the downward trend in application volumes among smaller U.S. programs this year." "There has been a significant growth in the number of applications for MBA programs and this demand has been further driven by female candidates for the full time two-year programs" said Mr. Gaurav Srivastava, Regional Director, South Asia, GMAC. The results of the GMAC Application Trends Survey Report 2017 show that women are increasing their representation in the graduate business school pipeline. Today, women represent 42 percent of the total applications received by participating survey programs, up from 37 percent in 2013. Most program types have experienced an increase in the representation of women in the application pipeline. Specifically, among MBA programs women represent 39 percent of applications, up from 33 percent in 2013. More MBA programs report growth in female applicants (44 percent) compared with business master's (39 percent), whereas the growth rate is similar for men - 40 percent for MBA and 39 percent for business master's. Overall volume to the general part-time MBA program category has been stagnant or on the decline since the Great Recession. Part-time lockstep programs - in which students proceed through a classroom-based program as a group - have seen stronger application volumes than part-time self-paced programs, in which students set their own schedule in a flexible format. Among U.S. part-time MBA programs, 54 percent of lockstep programs report increased volume this year, compared with just 34 percent of self-paced programs. Among business master's programs, applicants tend to have less than one year of work experience; the exception is the Master in Data Analytics candidate who tends to have more experience.